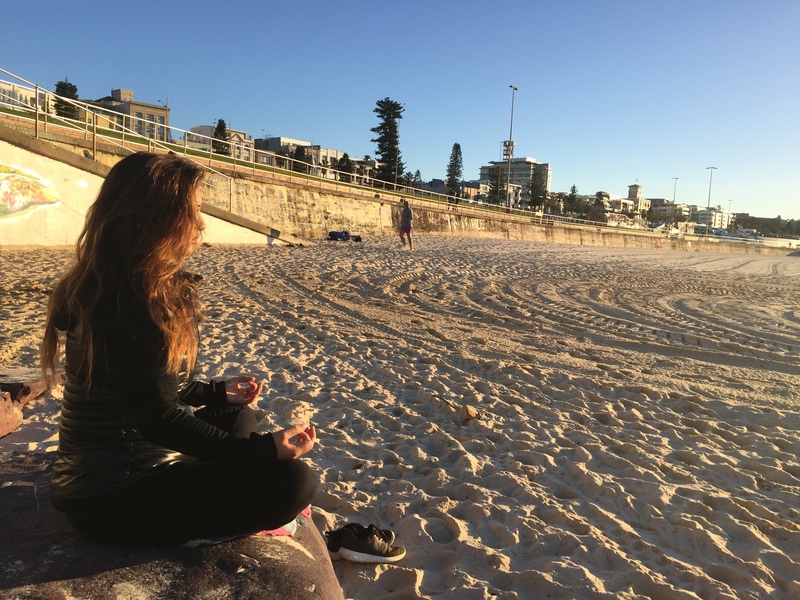 If you’ve followed my Yoga Teacher Training Journey (see here, here and here), it’s been about a year since I did my 200hr course with Power Living in Bondi. I’ve been to my fair share of yin classes with varying experiences, but when I started attending Nik’s yin classes last year I felt what I could only describe as pure magic. When I saw the training open up I knew I needed to find out what was behind it. The training started with a half day, which included an opening ceremony and two hour practice. Our first full day was done in complete silence (definitely an experience). As the week went on (and we started speaking again hah) we learned about the pran vayus (different energies within the body), how to sequence a yin class to create specific experiences based on these energies and most importantly, how to create and hold a safe space for people to be free to create the *magic* for themselves. We’d do yin practices that felt like an hour only to find out we’d stayed for three. Time didn’t exist and our little yin bubble was strong. 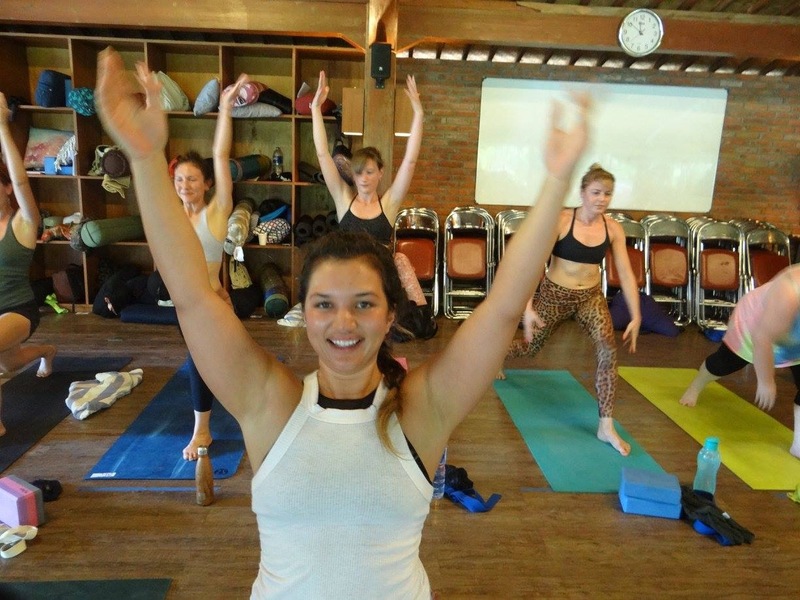 We went deep and I felt like the course was lead the way Nik’s yin classes were lead: as a safe, strong, nurturing experience that gave us the space to really experience what we were learning and take it on board. There was a lot of trust put in us and the message was clear…it’s our duty to take these learnings, make them our own, and provide our own unique sacred spaces for people to experience yin. If you’ve always wanted to take an extended spiritual pilgrimage to India, but haven’t found the time (hah), then this course is definitely for you. Not only is it insanely rich in content, but it also systematically shows you how to apply traditional tantra hatha yoga to your life…and how to reap the benefits. This course was a whammy. So much information. So little time. We were given the same manual as the 200hr YTT course and I feel like we covered a lot of it. Each day was comprised of a two hour morning vinyasa krama, pranayama and meditation exercise followed by lectures with mini meditations and mantra chants in between. We were living and breathing the teachings being passed down to us. This is not the place to learn how to do your best downward dog (which you know if you’ve ever been to The Practice). The majority of students were practicing yoga teachers (some even ran their own 200hr trainings) and a few yoga newbies. 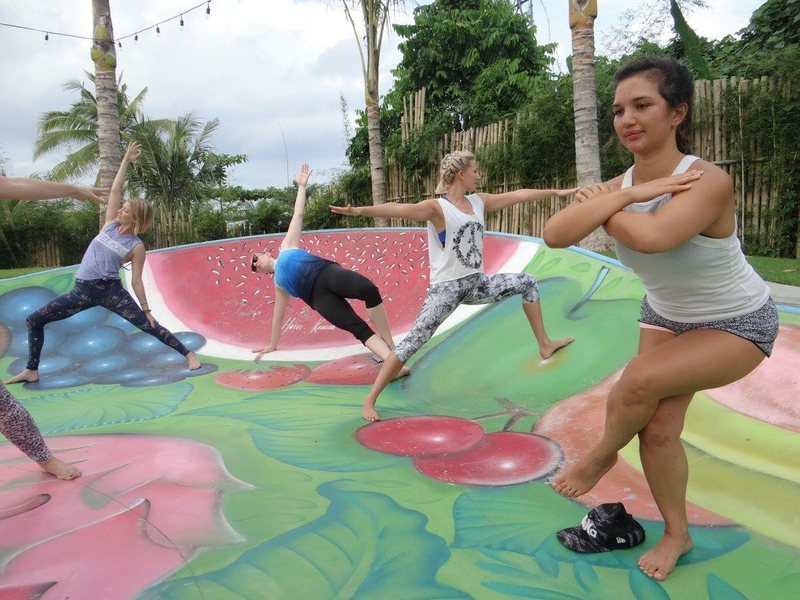 The yogis who had a fair share of trainings under their belt, all said they’d never found a course like this anywhere else in the world. Understanding The Science and Connection Between Asana, Pranayama and Meditation. It was truly fascinating and the response I have to everyone who’s asked me about it is that I feel like I’ve learned all the secrets of the universe…and who doesn’t want to do that?! It was amazing. Now go meditate! Wow. 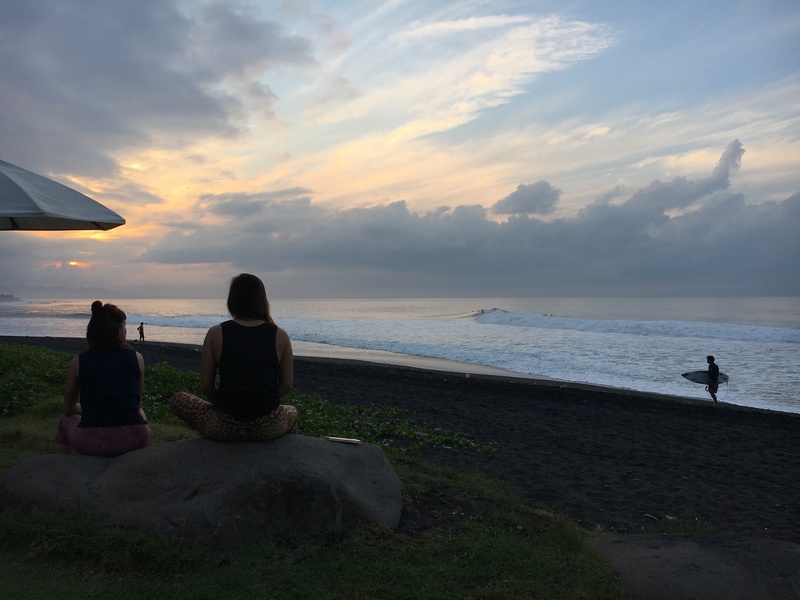 So it’s been one year since the Power Living Bali retreat (part of the 200hr YTT). Basically after that week it felt like everything was BY (before yoga) and AY (after yoga). I found a clear pathway to live life that has given me so much peace, power and understanding (will post my yoga essays from the course soon and link here). Certainty in who I am. What I’m doing. Why I’m doing it. Acceptance. I feel like I was given the permission I seemed to be searching for to stand strong in myself. No apologies for who I am. Can it get more liberating than that?! Will I teach yoga in studio (apart from private sessions)? I wasn’t sure if I wanted to teach yoga when I signed up for the 200hr YTT and when I finished the course I was so high off of the experience and the excitement of our final exams (teaching in the main room at Bondi’s Power Living studio was one of the most exhilarating highs), but when I thought about actually going into a studio and teaching people I didn’t know, I just didn’t feel ready yet. That’s no reflection on the teacher training though, lots of my friend’s have gone off to teach studio classes and are doing amazing jobs of it, but for me there was still a hesitation. I wasn’t sure if it was just nerves, but I decided to just keep doing what felt right and see where it took me. One of the biggest things I learned from the retreat was the power of surrendering and giving space to receive what comes next into your life – as someone who lived a previous life as an anxiety-riddled, Type A planner, this was a huge revelation (thank you Keenan Crisp!). One year later, and one post 50hr Yin training with The Practice under my belt I can say now that I do feel the call to teach in studio. 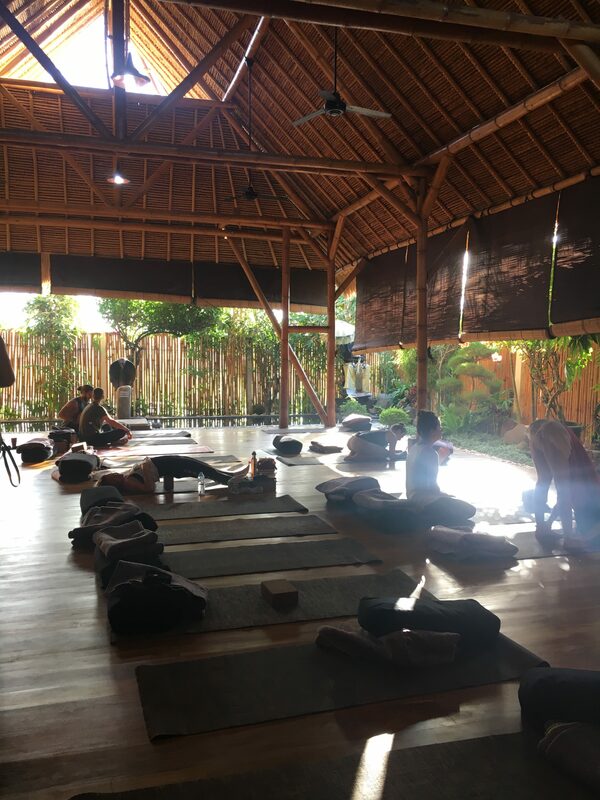 I love the style of yoga I’ve found at The Practice here in Bali and I’m trying to figure out a way to bring the essence of it back with me to Sydney. When I finish the 50hr Traditional Tantra Hatha training I will most likely do a writeup on my yoga learning experiences here too, so stay tuned! 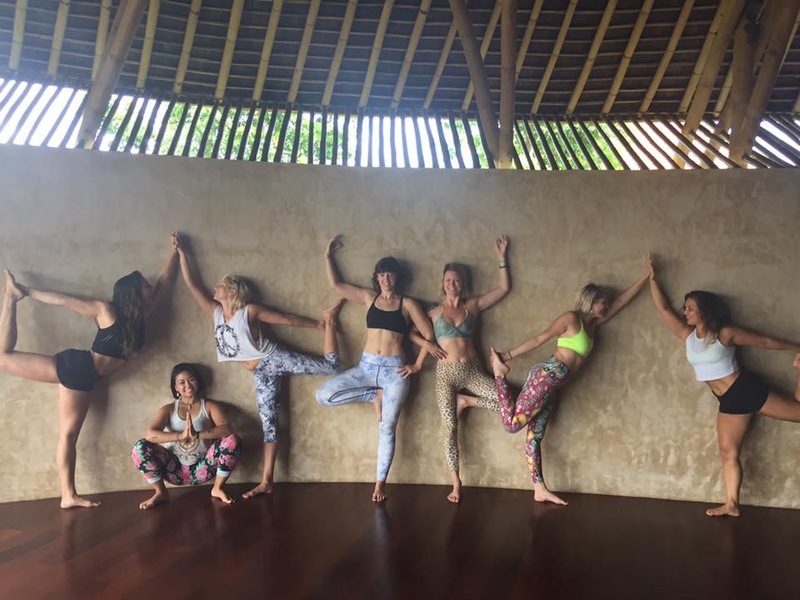 So I had the best of intentions to write about the Bali retreat that was part of our 200hr yoga teacher training with Power Living as soon as I finished, but I had no idea how big a week it would be and how long it would take to digest everything that happened. I was going to write in detail about what to expect, how the days worked, etc., but now having done it I think it’s such a special experience that it’s better to leave an air of mystery around it (and if you really want there are a few blog posts about it if you Google). The food was great and there was A LOT of it. 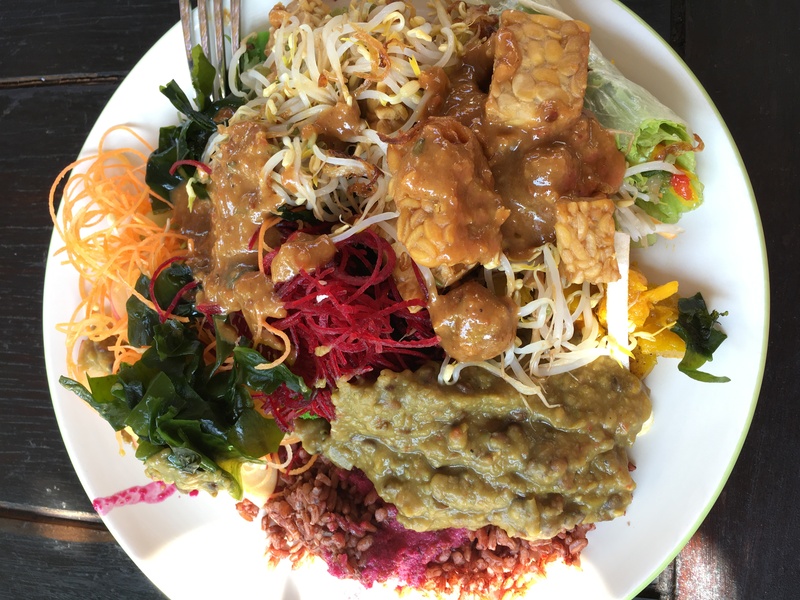 They described it as ‘sattva’, which means pure and clean in Sanskrit, but for someone who eats quite healthily at home I actually felt like I was ‘letting go’ during the week. We had breakfast, lunch, snack and dinner and it was delicious. A few people from our group also bought meals regularly at the hotel beach bar, so you really can have whatever you want (but you pay extra for it, whereas the buffet food is all included). The rooms were beautiful, although we didn’t spend much time in them. It was nice to come back after a long day to soft sheets, a rainfall shower and a little luxe. Komune Resort in Keramas was wonderful. The staff were just superb, so, so helpful, nice and professional. The shala where we spent most of our time was gorgeous. 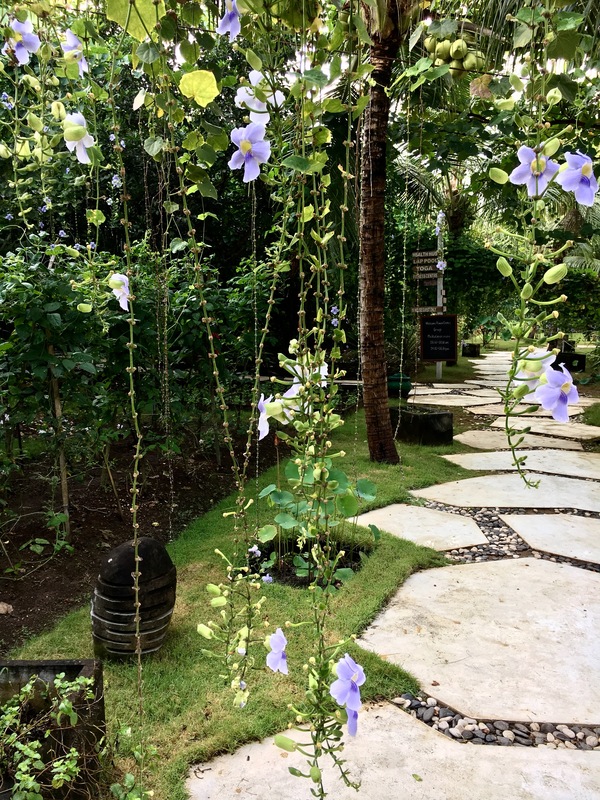 The grounds were beautiful – flowers and lush plants everywhere, beautiful stone paths to the beach and bean bag chairs by the pool. 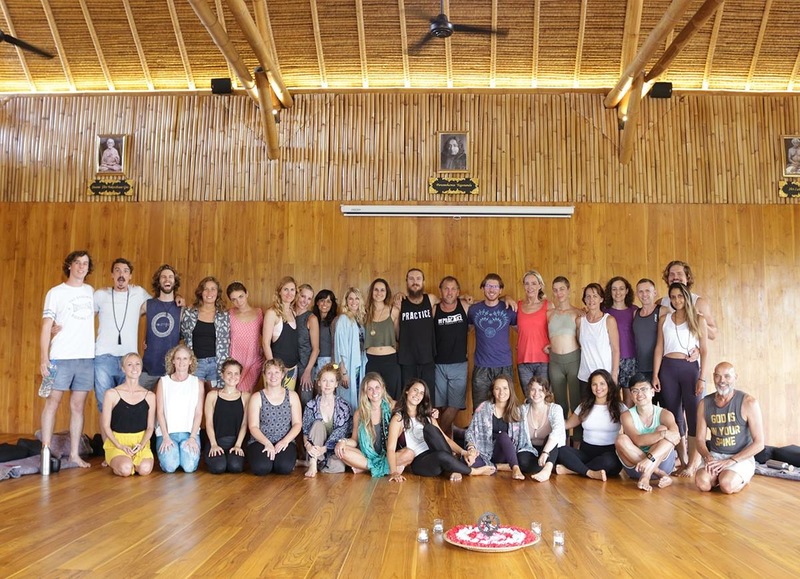 We had the pleasure of having Duncan Peak (the founder of Power Living) and Keenan Crisp (co-founder) leading our retreat so the tone and all the activities involved truly reflected the Power Living philosophy. You will feel up and down pretty much every day, probably more than once, and so quickly between the two that you will confuse yourself. You’ll belly laugh, sob cry, dance like a maniac and feel so deeply connected to the people around you that you’ll surprise yourself. You will come back with a lot to think about and a new perspective on pretty much everything. You won’t ever forget it! My biggest piece of advice would be to come with a big open mind and heart – let yourself feel every emotion, even if it’s negative and know that it too shall pass. Embrace the process and see what comes up. I’ve wanted to do my 200hr yoga teacher training for the last three years, but it wasn’t until I quit my job that I felt like I finally had the time (and mental capacity) to go for it 100%. 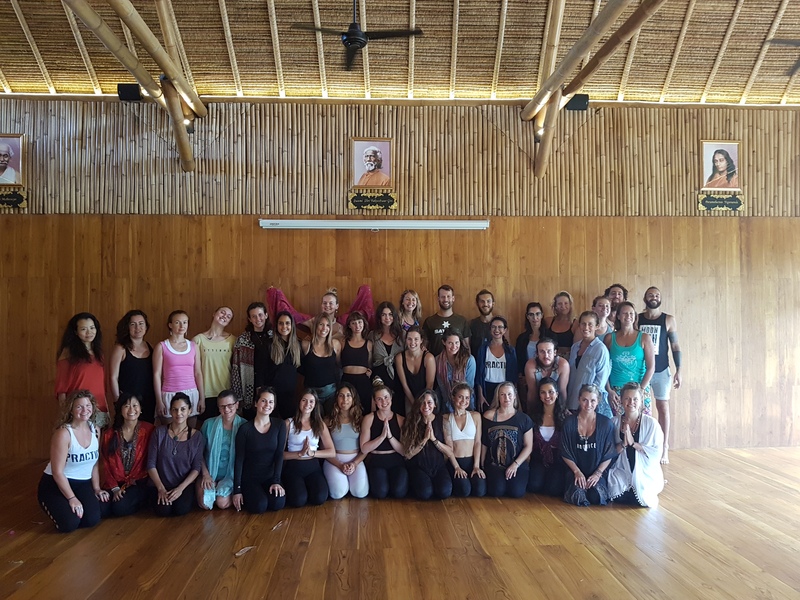 There are so many options for yoga teacher training – in so many countries – that it can be overwhelming choosing which one is right for you. I decided to make a list of what I wanted from the experience and find the program that best fit. With these factors in mind I spent a good afternoon going down a rabbit hole of yoga. 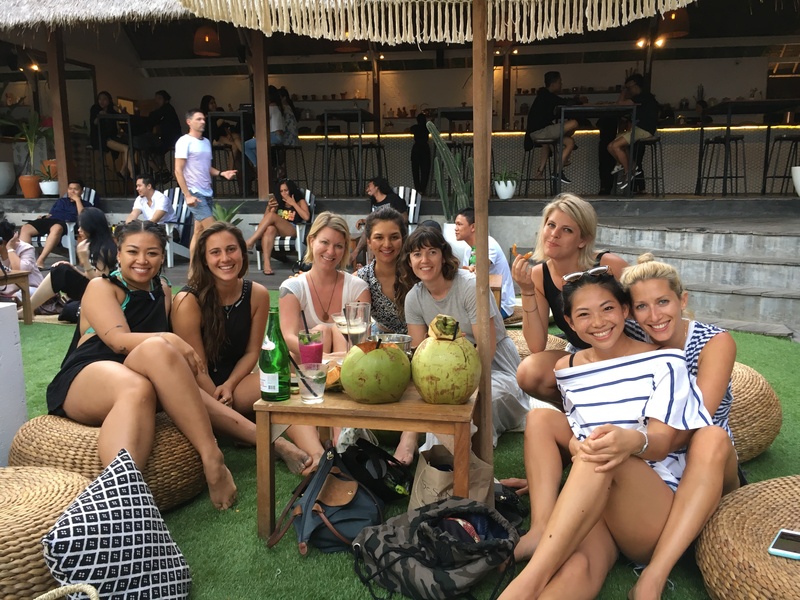 I hemmed and hawed over the idea of doing my entire training in Bali, but decided it was really important for me to have training that was well-recognised in Australia, as well as a post-course support group if I wanted to do my 500hrs in the future. I also looked at schools in Byron Bay and Hawaii, but the costs of doing the course, paying for accomodation there, plus my rent in Bondi made it too expensive. In Sydney, there were only two studios who’s programs I seriously considered: BodyMindLife and Power Living. 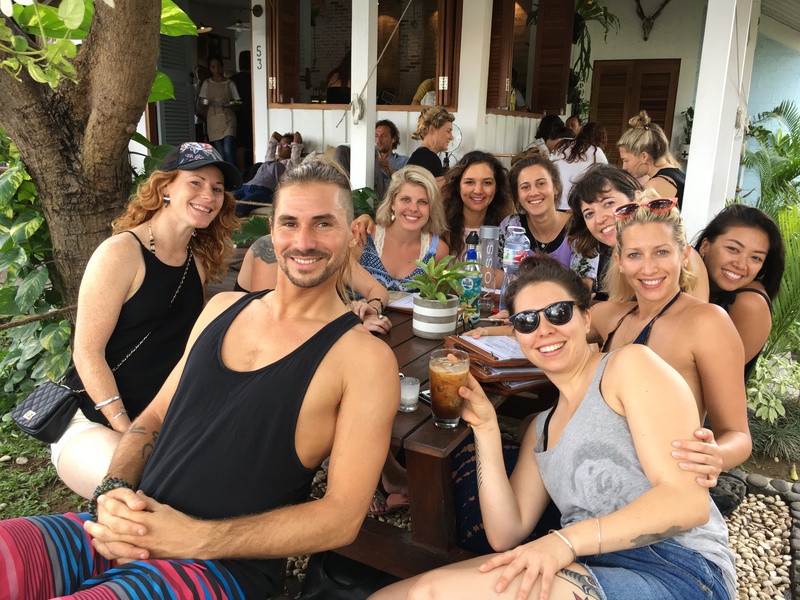 Both had schedules that I could fit my life around, but Power Living stood out because not only was the training in Bondi (and five minutes from my apartment), but there was a one-week immersive retreat in Bali as part of the program*. And – serendipitously – there just happened to be a 200hr yoga teacher training info session at their Bondi Junction studio that next day. So what I haven’t mentioned yet is that even though I’d been wanting to do a yoga teacher training course for a few years, I didn’t know if I wanted to be a yoga teacher per se. I loved going to yoga, but I would leave amazing classes feeling high, elated and searching for something more…like I’d only touched the tip of the iceberg. I wanted to know more and I wasn’t sure if that was enough to do a teacher training course – would I be the odd one out? The info session at Power Living helped dissipate every worry I had. Sol and Jordan were so chill, inspiring and very firm about how the course was a journey for anyone who loved yoga and that I didn’t have to be a flexible, hand-standing, perfectly lycra-ed being to partake. 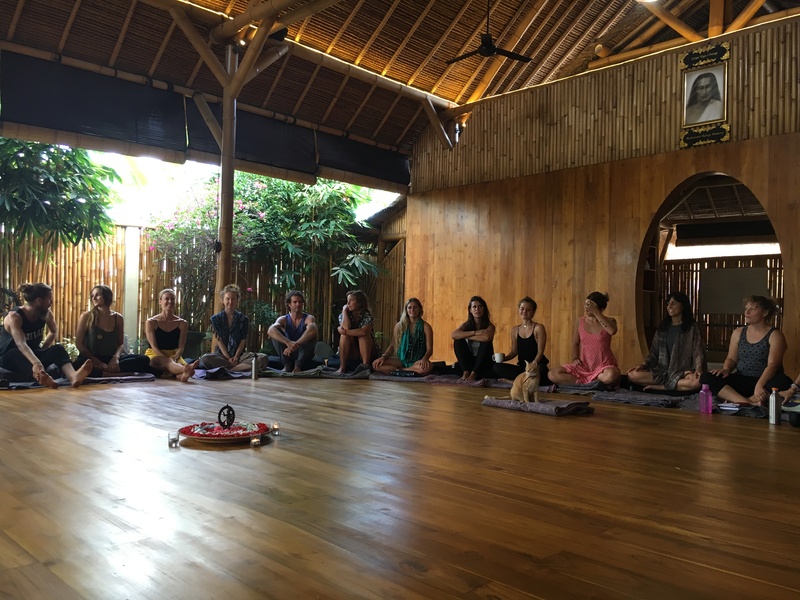 They also explained how the early bird discount worked in conjunction with the Power Living member’s discount…which meant the course, including the one-week Bali immersive retreat (! ), would end up costing me less than any of the other courses I’d looked at. I signed up the next day without any hesitation, ready to yoga. So how did Power Living stack up to my original list? Power Living is big on this, which was a huge attraction for me. We’re constantly questioning our assumptions about ourselves and trying to identify our self-imposed limitations. LOVE THIS. Great early bird and members discounts. These helped me sign up without hesitation, but even without those discounts it’s worth it and then some – an invaluable life experience (and I’m currently only halfway through). The instructors are amazing, so knowledgable and so conscious of what different highs and lows everyone might be experiencing. They speak to this a lot and it really makes a huge difference. * Two months later I just checked out the BodyMindLife site and they’ve added on a one-week Byron retreat to their program, which would be a GREAT value add. Byron Bay is AMAZING.